Is there an easy way to access my settings? The Moto Z Play has a quick settings option that allows you to quickly view and adjust some of your most commonly used settings. 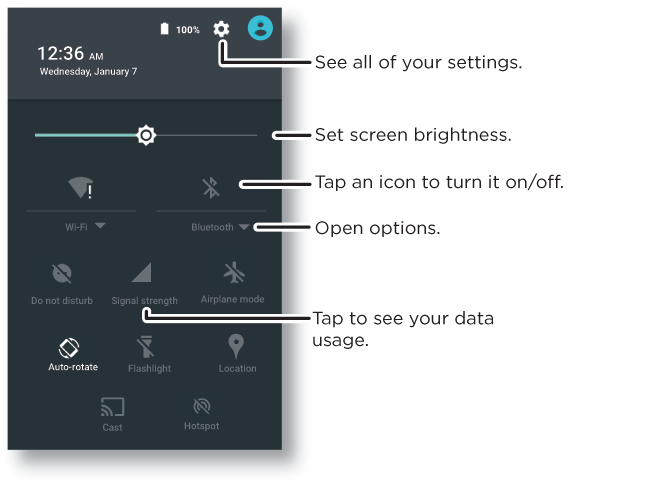 To access the quick settings menu simply use two fingers and flick down on the notification bar or flick down once while in the notification menu.